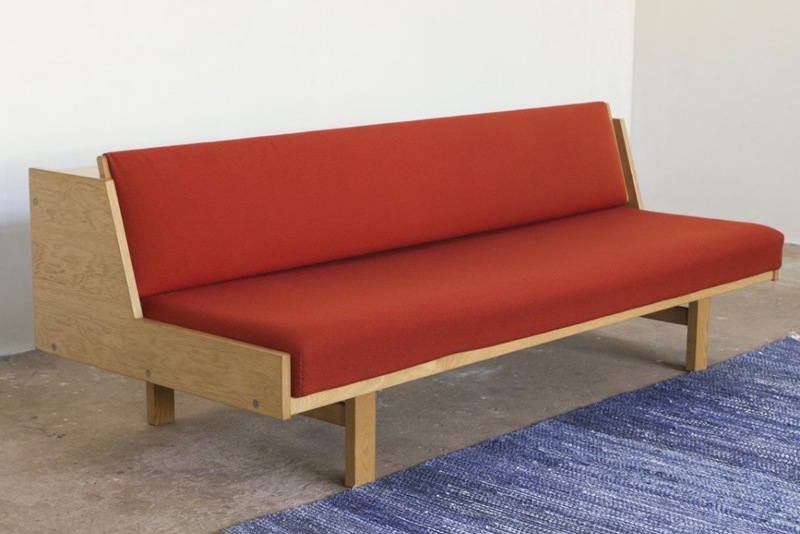 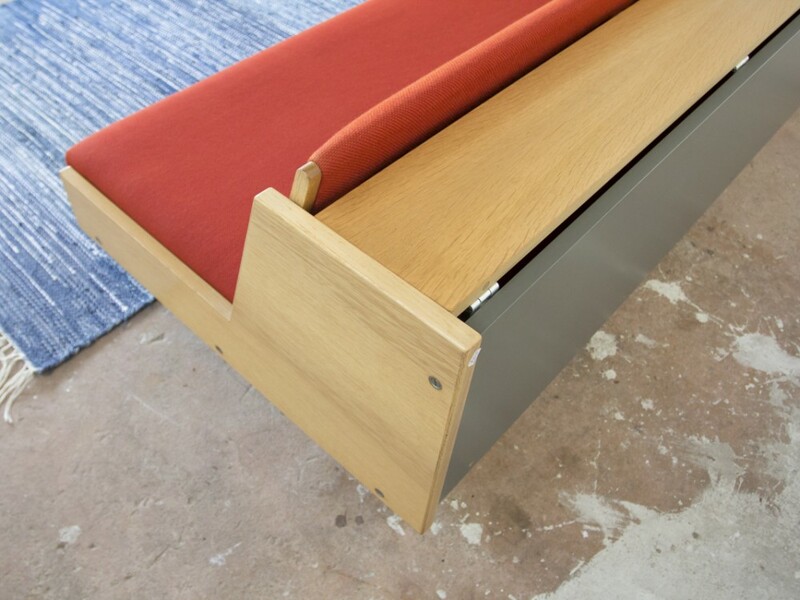 Model GE370 Sofa by Hans Jørgen Wegner, Denmark. 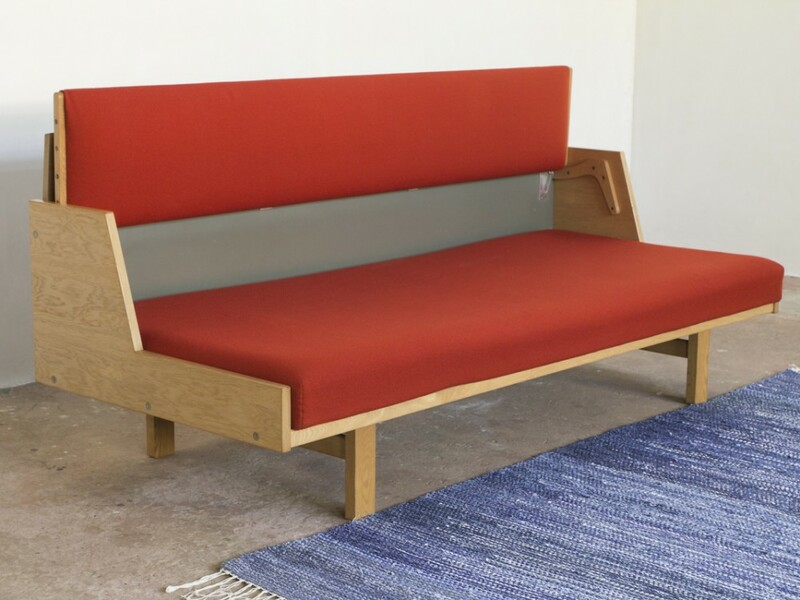 Model C683 is a very comfortable sofa, straightforward lines, no frivolity. 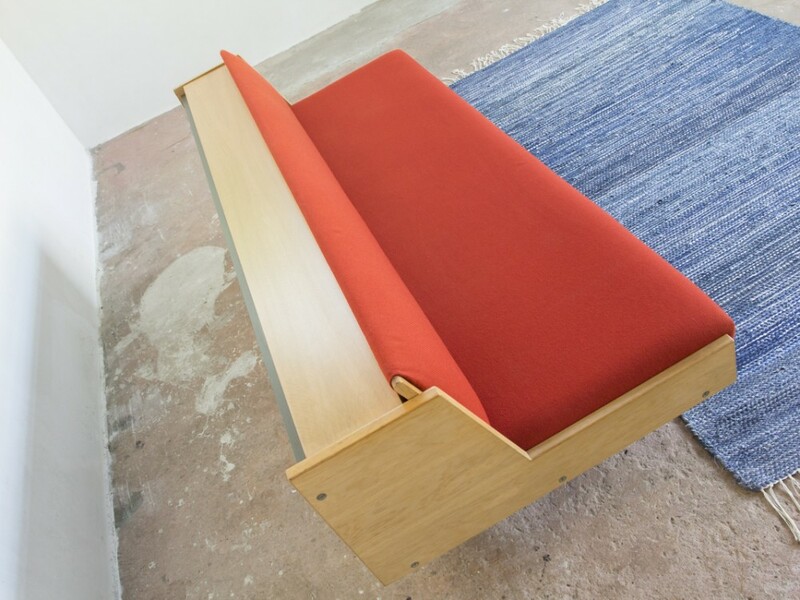 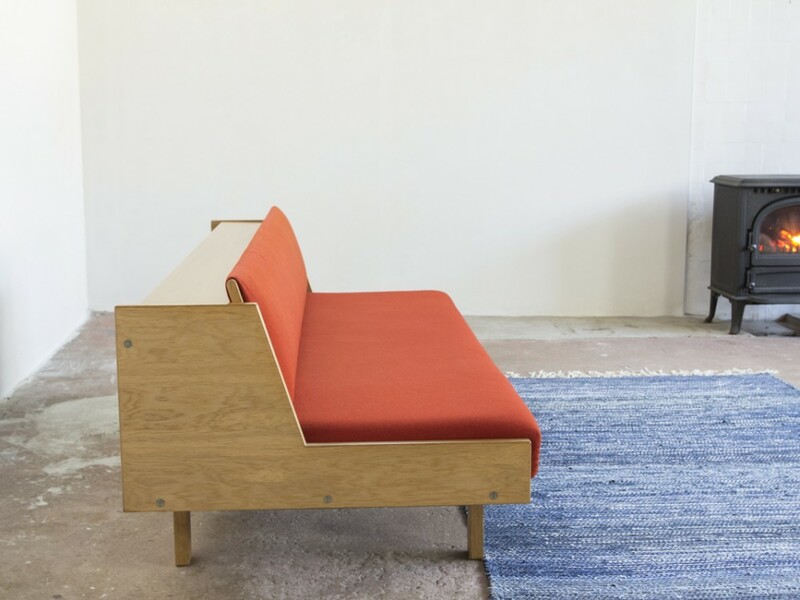 The sofa is made of pressed beech upholstered with moulded foam and standing on a metal (white) base. 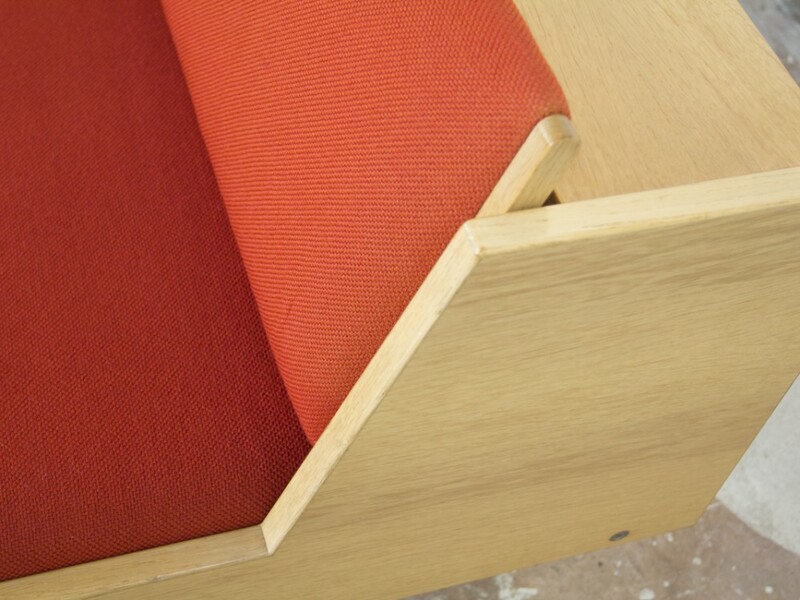 The seat and back cushion are integrated.